This holiday season is your perfect opportunity to take time out of work, hop on a flight or jump in the car and visit relatives you have not seen in ages. By traveling together, your immediate family also gets adequate time to spend with each other which usually does not happen. However, there are certain family members that make your life happiest and most lovable: your pets. 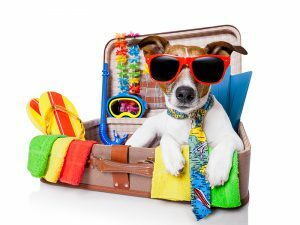 Before embarking on the journey, it is advised to scrutinize your pet for sickness and up to date vaccinations approximately two weeks before the journey. Also, ask your veterinarian for a dated health certificate just in case you get into any trouble with your pet like him getting sick or biting someone. Always double-check and triple-check that your pet has an ID tag attached to his or her collar. The ID tags should contain useful information like the name, cell phone and information about the destination you are traveling. You also need to mention the details of your pet’s crate or carrier. Ensure that you have extra food and a collapsible bowl for water and food ready every time. It should be according to the place you are traveling and the type of pet you have. It is important for your pet to feel at home when you are traveling with him. The idea is to get his favorite blankets, treats and toys along. An interesting thing would be to carry lavender oil to rub between your hands and apply it as a massage to your furry pal. It is important to feed your pet approximately four to six hours before the actual travel. This will aid in preventing stomach issues from any sort of motion sickness. If the meal is not given on time, ensure that the pet is hydrated during the journey. Before traveling with your pet through the airplane, you need to register your pet with the airline promptly. Remember, air crafts can carry a limited amount of carriers on each flight. You are not the only one who is thinking about bringing your pet along for the holidays. While taking these pet pre-travel tips seriously, it is important to think about the necessary pet care supplies needed by your pet during this holiday season. Some of them include: flea & tick, heartwormers, wormers, joint care and wound care. You would also like to get these pet products at a reasonable price. Keeping this thing abreast, Best Vet Care has announced 10% site wide discount on pet care supplies. The company is highly renowned for selling branded, qualitative pet products at a reasonable price. During this festive occasion, the online store is offering huge discounts on pet products which would have missed out due to high prices. This is your chance to save big. Just don’t wait. Rush today and apply the Coupon Code : HOLIDAY10 to get the discount. Have a great holiday season with your pet. Enjoy!!! November is a special month when it comes to shopping. It is that time of the year when pet owners shop till they drop. It is also a festive occasion when teaser sales and ads of Cyber Monday are on the rise. Cyber Monday on 28th November 2016 is your ultimate chance to shop for your favorite online pet products without even setting your foot outside your house. Online shopping has become a frenzy when it comes to Cyber Monday. Take advantage of this special time of the year and buy your favorite branded pet products that you would have missed out due to the expensive prices earlier. But because this sale is only for a limited period of time, it is extremely important to think strategically so that you can maximize your profits by tapping the full resources and getting most of the pet products that you need for your furry companion. This is an opportunity for you to show that you love your furry pal and what better way then to get pet care supplies that would not only keep him healthy and fit but also make your love more prominent towards him. It is important to have a game plan when you are about to shop for pet products. The reason for that is if you are caught unaware of the various schemes and discounts on a particular online store it is very easy to procure pet products that are least desired by you. This is due to the fact that you go with the discounted figures and forget about the necessity. Hence, always think hard and map out the pet products that your pet really wants and then make the purchase. If you find that there are two online pet stores that are offering great discounts on pet care supplies split up between your spouse or friend. This will ensure that more ground is covered and you do not miss out on any big discount deal. So, always plan before looking for pet products for purchase. Don’t Be In A Hush-Hush!!! Remember, Cyber Monday is just a discounted sales day. Even if you miss out on getting certain pet products it will not be the end of the road for you or your pet. Just try your level best to get the maximize advantage out of the discounted sales and leave the rest to faith. Never feel guilty of missing out on a pet product due to shortage of time. Best Vet Care understands that Cyber Monday Sale is the perfect opportunity to please the dedicated customers of the company. So, the online shopping destination is offering 15 % discount on its pet supplies on the online store. 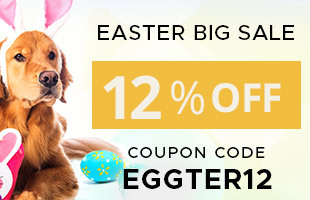 Just don’t forget to use the Coupon Code : BEST15CM for getting the discount on your favorite pet products. Have a great shopping experience on the website!!! Enjoy!!! Thanksgiving Day is just round the corner. It is during this occasion that families come together and have a gala time by having a grand feast. The day can be very busy especially when you have a big family get together. But during this hectic schedule, do not ever forget about your furry pals. If you have invited lots of guests then you might be tempted to keep your pet in a separate room. While it is okay to do for a short period of time so that everyone gets settled down in the new environment. Never leave him isolated for the entire day. Remember, even pets deserve to have a great day on this festive occasion. If your pet is going to meet your family members for the very first time it is important to ensure that he is introduced to the family members in the right way. Not everyone knows how to approach a pet that they have never met. Hence, depending on your furry pal’s age and personality, teach your guests the best way to approach them. Children can create great havoc by being overly excited and possibly aggressive towards the pet or they can also be fearful. So, be prepared to put everyone at ease, including your pet to have a happy and gala time during this festive occasion. Thanksgiving Day cannot be complete without food and so it is also known as Turkey Day. Educate your extended family with the food that can be harmful for your pet. But do not forget to tell them to give healthy pet treats or bits of kibbles for your furry companion. Never allow the pet to get on the dining table. Also ask them to spend quality time with the pet by taking him for a walk, play with him or take pet photographs. What is your family’s favorite after dinner tradition? It can be viewing a football match on television or a Christmas Classic like It’s a Wonderful life. Ensure that your furry companion has been tucked in properly ready for a nap. In case he is not feeling sleepy, give him some favorite toy that will make him feel busy. Keep him busy with the aid of an interactive toy or a dental chew. But while celebrating this occasion do not forget to have adequate stock of necessary pet care supplies with you. To make you save lots of $$ and time, BestVetCare wants to show their gratitude towards the pet owners for their selfless love towards the furry pets by offering 12% site wide discount on its pet supplies. Select from an exclusive range of pet products ranging from fleas & ticks, wormers, heartwormers and wound care. But while shopping do not forget to use the Coupon Code : THANKYOU to enjoy the discounts. Have a great Thanksgiving Day with your pets!!! Veteran’s Day is an important day that celebrates the service of the U.S. Military that has served the country. But the contribution of service dogs in wars cannot be undermined. These dogs do everything from sniffing out bombs to aiding veterans with post-traumatic disorder. It then becomes our duty to pay homage to all these veterans on this day for their service to our country whether they are on two legs or four. Our military has used dogs, mostly in major wars encompassing World War II, the Vietnam War, and wars in Iraq and Afghanistan. These dogs have even be used as messengers, trackers of enemy soldiers and unit mascots. Recently, drug and bomb-sniffing dogs have become a vital part of our military apart from the military dogs. It has been researched and found out that petting and playing with animals can greatly reduce stress and depression. Veterans who are suffering from post-traumatic stress disorder or PSTD, are often paired with service dogs or therapy dogs. When soldiers come back home after long and hard military life, they need someone to readjust to civilian life. This is where having a furry companion can make the transition a little easier. On this festive occasion of Veteran’s day, it is the duty of every pet owner to shower gratitude towards these war veterans. And what better way then to ensuring that your pet is looked after properly and is in prime health. Due to the holiday, you might be facing a cash crunch and would find it difficult to contact your veterinarian. To relieve you from this burden, BestVetCare has announced 15 % discount on all its pet care supplies on the site. The company has made its name in providing highly qualitative, branded pet products for canines, felines and birds at a price that does not hurt your pockets. Some of these product categories include: flea & tick, heartwormers, wormers, joint care, wound care and teeth. The great thing about the online shopping destination is that they do not charge any shipping costs irrespective of the order. With this Veteran’s Day sale, you can get an additional discount on already cost-reduced prices. This is your best chance to get those products that you might have missed out on procuring due to high prices. Hoard these pet products for future today!!! This is the best Veteran’s Day gift that you can ever give to your furry companion. So, hurry today and don’t forget to use the Coupon Code : BESTVDS15 to avail the special Veteran’s Day discount on your shopping. Enjoy Veteran’s Day with your pet and have a great time together! !